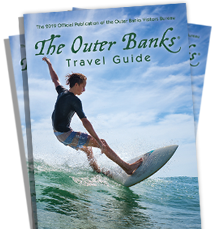 From tips on how to get to the OBX faster, suggestions on the best sunset viewing spots, information on beach accesses, or maybe just some good ole guidance on where to stay and what to do, our Visitors Bureau staff is here for you. Our staff lives here, too, after all, so you can benefit from our perspective as an insider, but also rest assured that our recommendations are unbiased and comprehensive. To take advantage of this free and helpful service, please call, write, email, or visit one of our four local welcome centers. We’re also happy to assist with information more specific to a particular audience, like groups, meeting travel planners, event planners, travel writers and media professionals. Our staff works closely with businesses and non-profit organizations throughout Dare County’s Outer Banks. We take pride in helping these organizations share their offerings with visitors everywhere. Please let us know if there is anything we can do for you!